The next Cross Country Open Day is on Saturday the 4th May 2019. Please check this page on the day of the event for confirmation that the event is going ahead. No need to book in advance, just turn up on the day. The Course is open from 10am to 2pm on the day of the event. 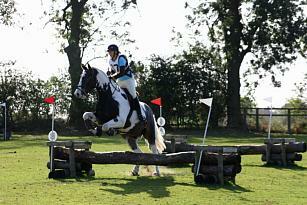 Entry is £20 (inc VAT) per horse/pony. 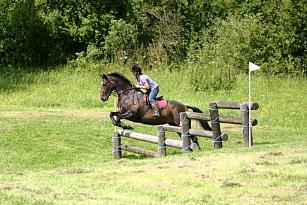 Bring your horse or pony to Red House and try out the jumps on our large and varied cross country course. 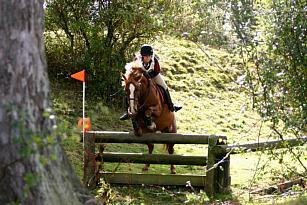 These Open Days are aimed at people wanting to school their horse or pony. There are 3 courses marked out: Junior (up to 2ft), Novice (up to 2ft 6in) and Open (up to 3ft). However you can choose which fences you jump, in which order you jump them and there are other fences flagged which you can also use. You can even devise your own course using the maps provided. The terrain is varied with open country and wooded fields, there is also a challenging technical section through a medieval moat. We have some portable jumps (2ft 9in upwards) which will be placed in different locations to add even more variety to the course. Jumps range from Beginners standard (less than 2ft) to Open (up to 3ft). Riders must be wearing the correct safety equipment including body protectors, hats to PAS015 (no fixed peak), and recognised riding footwear. 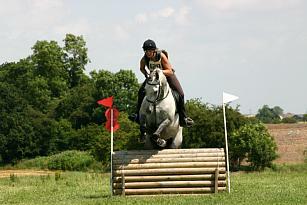 Click here to see full details of the course including a map and photos of every fence.